Kami has recently upgraded theme and colour palette. 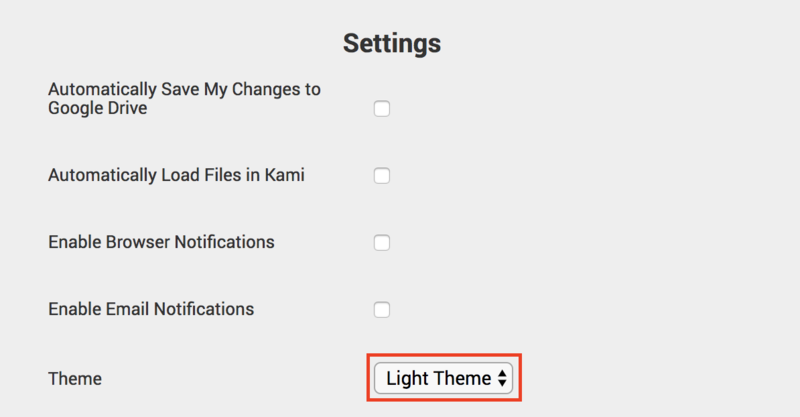 If you wish to change between Kami themes, click the settings button in the top right corner of your screen. 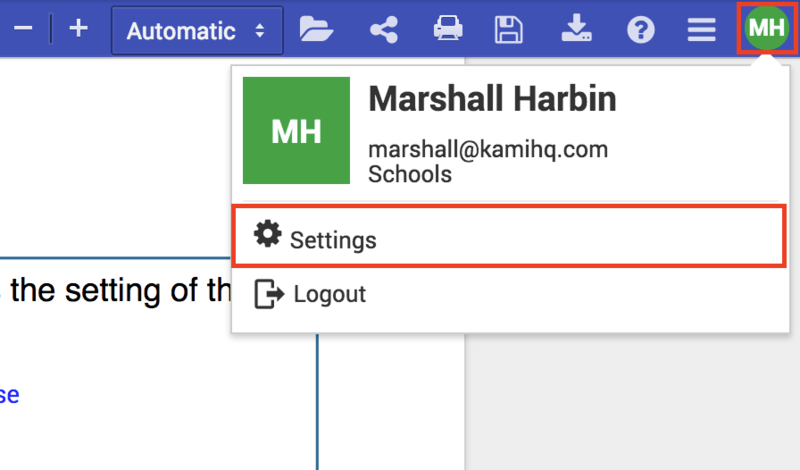 From here you will be prompted to your settings page.